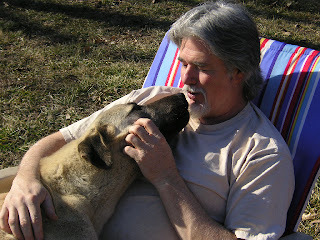 My Husband Jim came out to sit with me enjoying a 73 degree day and Dilara just could not resist cuddling up with him. 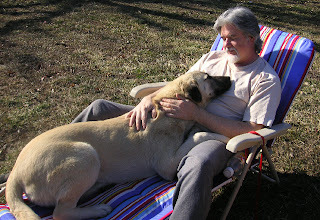 Dilara is 9 months old and about 90 lbs. 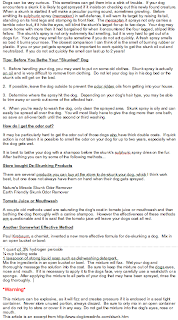 Just received an e-mail from a fellow Anatolian owner who was seeking help because her Anatolian confronted "Mr. or Mrs. 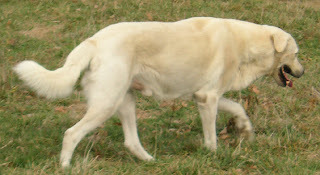 Skunk". Thought this would be helpful. You'll have to click on the article to read it. 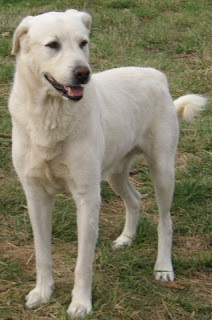 At 10 years old he is very athletic and lives within our dairy goat herd with our female Anatolians. He also spends some time with us in the house. In his early years Robbie was quite a show dog going to Westminster twice.